An interesting hand built stoneware pottery bowl with subtle texture on the inside and a happy lizard adorning the rim on the outside. Glazed inside and out. Entirely food and microwave safe. 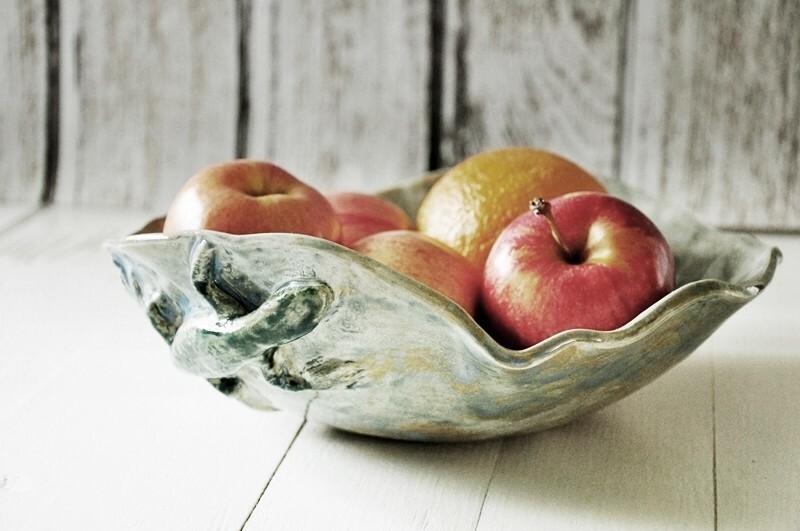 This would be great as a fruit or centerpiece bowl. Measures 9.5" inches (cm) across, and 9.5" (cm) at its highest point.